When I first started out shooting family sessions, I'd promise my families that I'd fit in two locations if they wanted - indoors, in their homes, and something outdoors in a space that meant something to them. A local park, surrounding streets and so on. 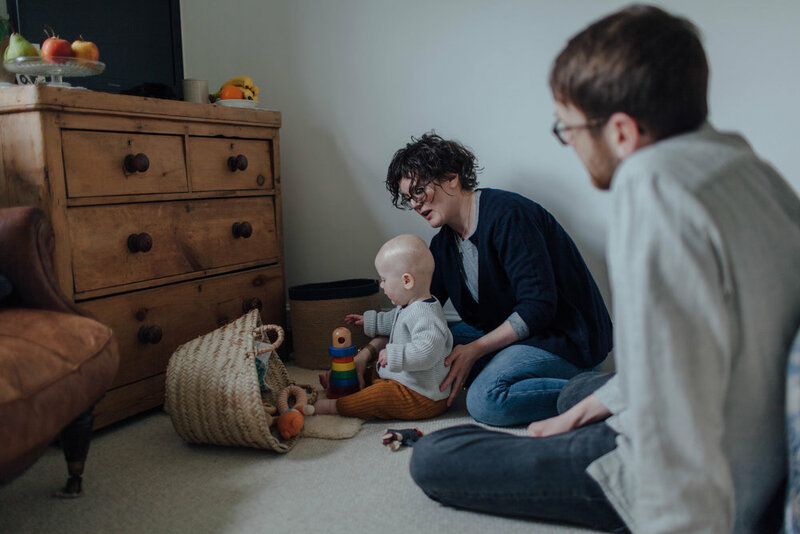 But after a while I realised that while this strategy was producing a lot of images for my families, it wasn't helping me create the kind of environment I wanted for my sessions. 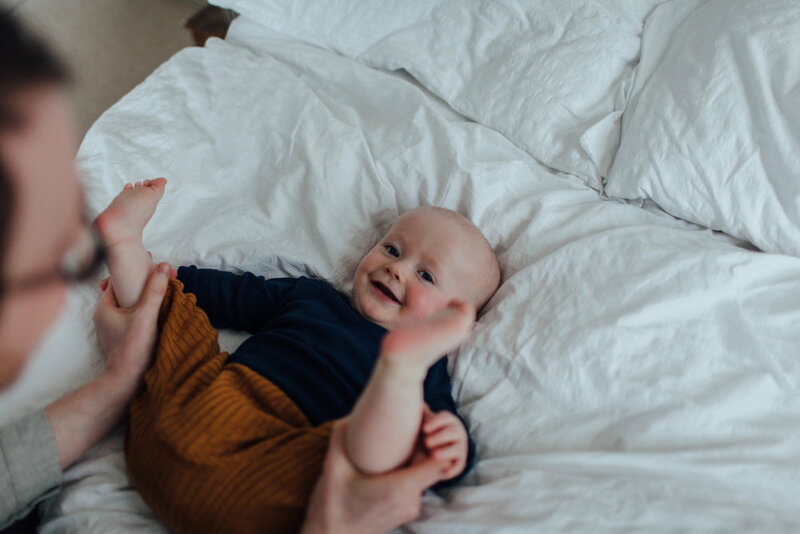 Two hours is not a lot of time, when you take into account a little wiggle room for everyone to get acquainted and feel comfortable, and the total unpredictability of children. My sessions felt rushed, and no sooner had I come in the door I was on my way out again. I started to realise that if I wanted my sessions to look a certain way, I had to make them feel the same way too. You can't create a vibe of everyone relaxing at home, if that's not truly what you're doing. Offering two locations in two hours meant I was so concerned about getting all the images I wanted, that there just wasn't space to all hang out together, play with the kids, get some baby snuggles and take advantage of all the great spaces and light to shoot in someone's home. So, I changed it up. Now I offer just one location in the two hours, which includes the garden as I still consider that part of your home. And it's great! 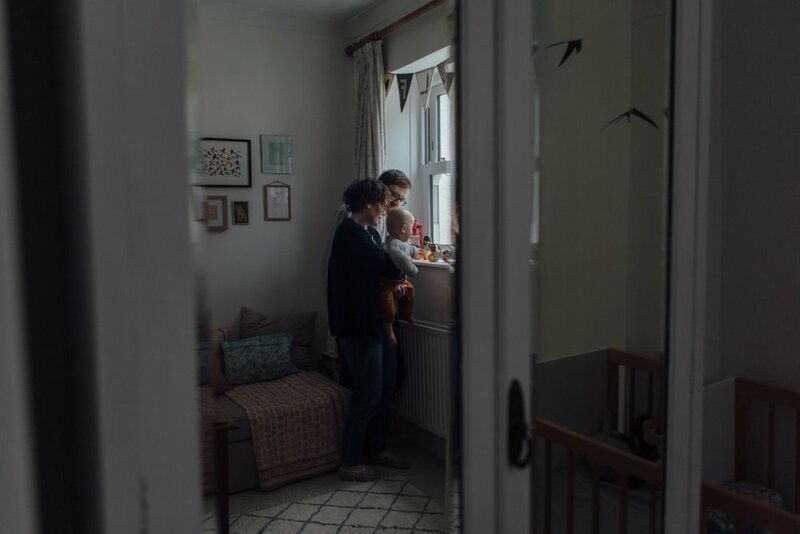 There's heaps of time to play, drink tea, have snacks and capture a little more of the breadth of a family's life, which I love so, so much. 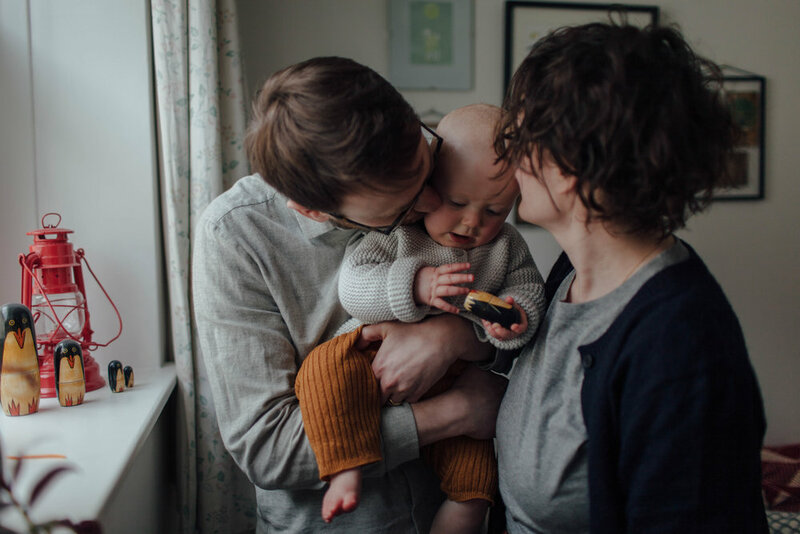 Sara, Ian and Wilf were such a dream to photograph, and so was their home! So much light, wonderful furniture and beautiful textures and colours. It's definitely something I love about my job a lot that I get to have a little sneak peek at everyone's home decor. You can bet I'll be asking you for tips. 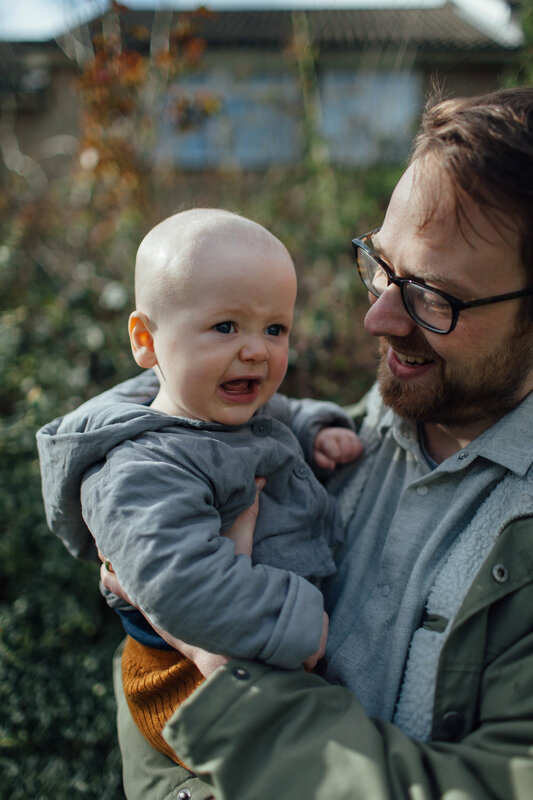 Little Wilf was so chilled and adorable for our whole session, and just made us all laugh so hard at the face he made whenever he looked at the camera. What a total cutie. I am so grateful to any family who gets brave enough to invite me in, and just be themselves. I 100% get that sometimes that's the hardest thing to do. But all you gotta do is trust me, and let me do my thing. Capturing these everyday memories is what I'm here for, because those are the things that make up our lives. Our everyday blessings.